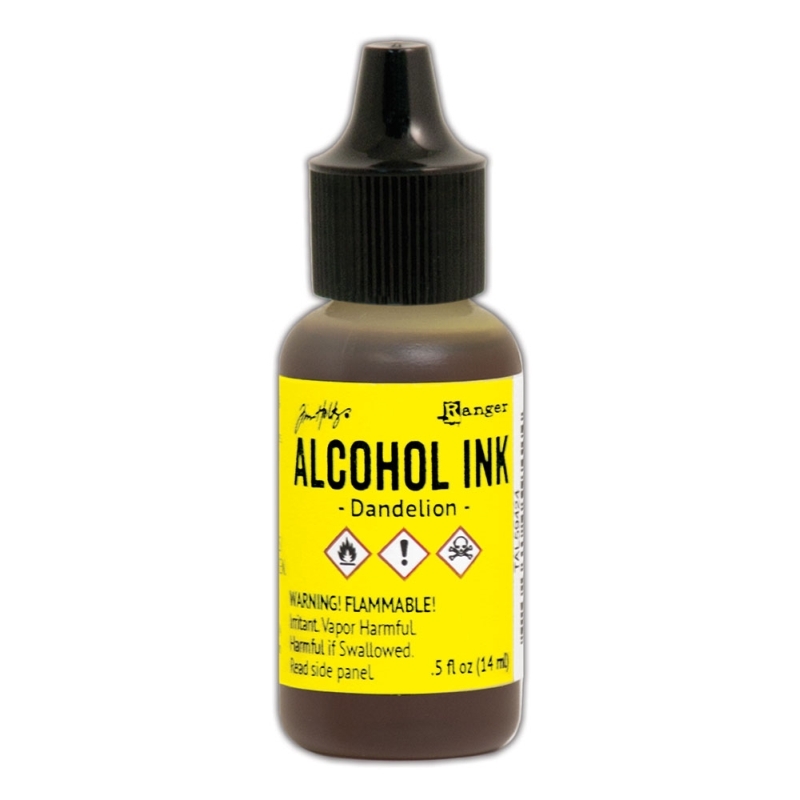 A new colour for 2018 from the Adirondack range by Tim Holtz at Ranger, this 15ml bottle of Dandelion alcohol ink is suitable for use on glossy paper, metal, shrink plastic, glass, and other slick surfaces. It is acid free and fast drying. Great for using on glossy and non porous surfaces, such as glass, metal, shrink plastic, dominoes and glossy paper. IMPORTANT NOTE: The Dandelion colour has a solvent base and dye in its formulation that differs from the other colours. If you plan to use this with a varnish, particularly a solvent based ones, we recommend testing on a sample first, and consider trying an acrylic varnish.